Original Mesh Grey #83 Front Seat backs in a 1965 (Built in 1964) Sea Blue VW Bug. Single Family Owned since purchased new. Outside has been re-painted, inside is original Sea Blue paint. 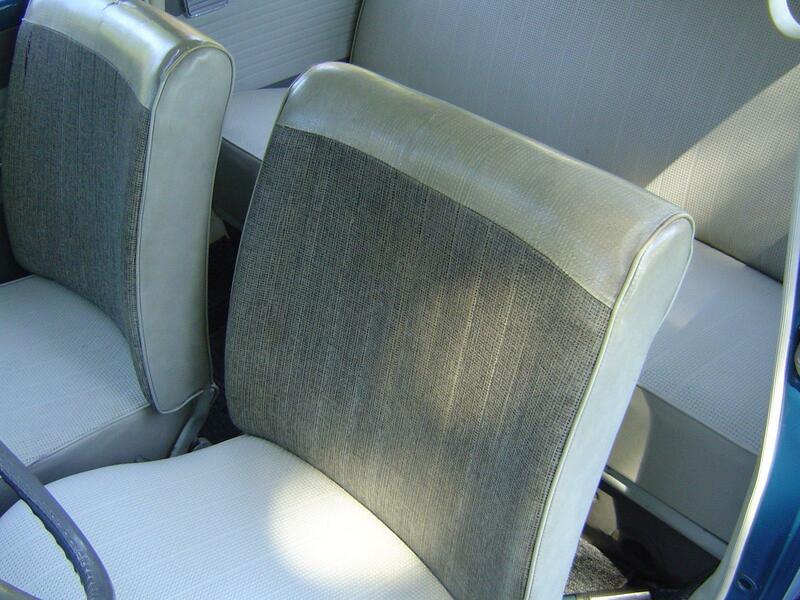 Seats were covered for years with White Seat Covers and left a basket weave imprint on the top of the original seat material.